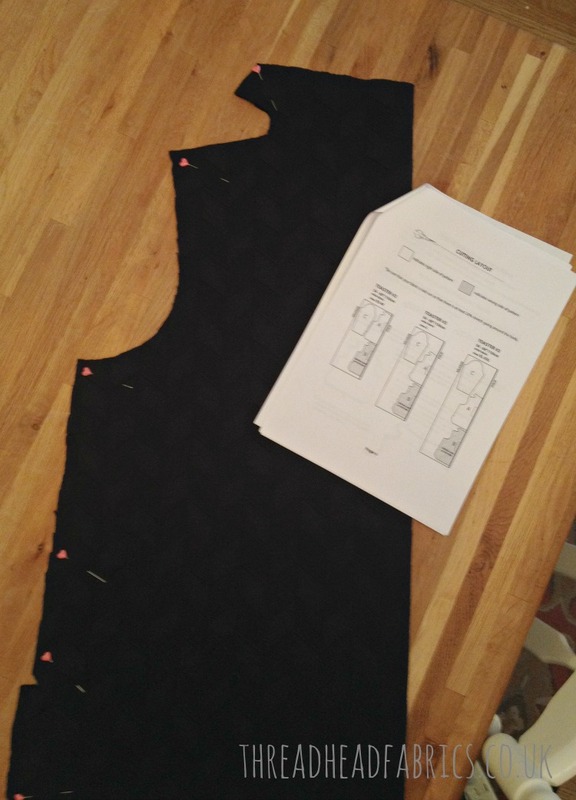 Want the scoop on what I’ve learned from my first taste of using PDF dressmaking patterns? Really, there is nothing to fear! I turn back to my math-phobic high school self when I look at complicated dressmaking patterns. I realise this is in my own head as sewing patterns are pretty logical. And hey! I love jigsaw puzzles. Certainly some of those skills would come in handy, right? Start your first project with something that has only a few pattern pieces. I can’t recommend the Sew House Seven Toaster Sweater 2 enough for PDF newbies like myself! Only 4 pieces to the pattern. You can see in my pic that it took 21 pieces of A4 paper to make the entire pattern. Others I’ve purchased will require 35 – 40 pieces of paper! So the Toaster Sweater 2 was definitely a good choice for my first project. Look carefully at the PDF pattern description and images for the dressmaking pattern you are considering and if the pattern has lots of pieces to it, you may want to hold off on that pattern until you’ve worked with a few. Be sure your printer settings are set to borderless printing. Yup, I think I may have killed a tree or two when I printed out 2 PDF patterns and then saw that the test square was slightly off. If you use Windows 10, then click onto ‘more settings’ and then scroll down to the last option and turn on the borderless printing option. Thanks to fellow Instagram Thread Head @thriftyhandmade for the advice! Carefully align the paper in your printer tray to make certain it doesn’t shift while printing. Another mistake I learned the hard way! When I started attaching my sheets of paper together I could see that they weren’t lining up perfectly. After checking out my paper tray in my printer, I could see that the paper was not completely flush in the tray. They were only off my milimetres, but that made a difference when it came to lining up my sheets of paper to create the overall pattern. I was able to compensate, but realised I could have avoided this by properly aligning my paper stack when I put it into the printer. Duh! 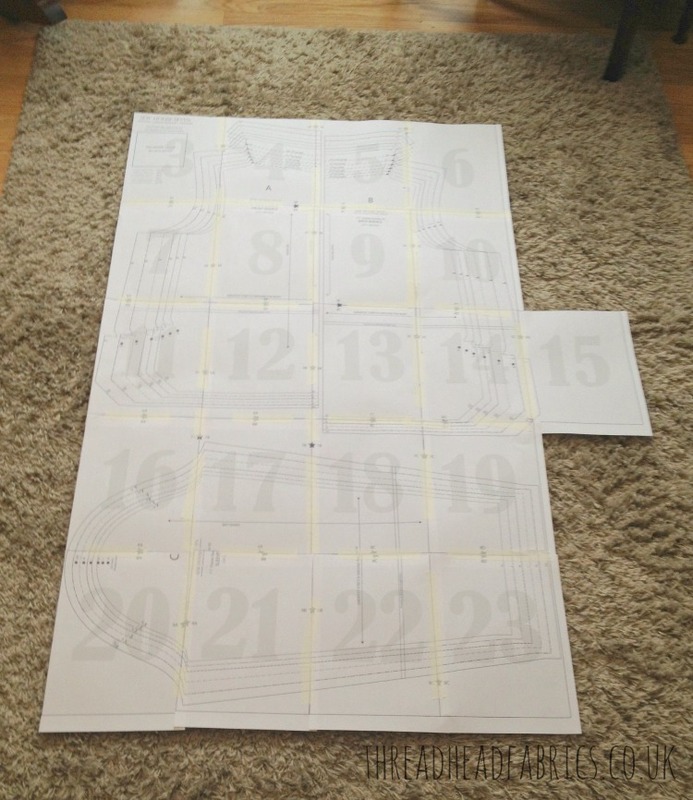 Use a bit of masking tape to hold your pattern pieces in place when laying all of them out. This allows you to shift things around a tad if need be. Use a glue stick to attach your PDF pattern pieces. I saw this tip on Instagram and even though it was too late for my first dressmaking pattern, I will definitely use this method for my 2nd PDF – the Named Patterns Saunio Cardigan. My first PDF pattern used up half a roll of cello tape! It was time consuming and fiddly to work with, and once it was placed on the paper, there was no shifting it. Overall, I’m not fully sold on using PDF patterns – for me personally. The great thing about them is that you own them once you download them so you can make several of the same garment and not end up with a tired worn out and possibly torn paper pattern. You print them off whenever you want or need a new copy. When piecing the pattern together, it helped me to get a fuller understanding of how the pattern would come together. It was a time to think and plan before cutting out anything. Also it’s helpful if you move between dress sizes – er, yup, that’s me for sure. My weight is a bit of a roller coaster scenario. But that’s a tale for another blog post! I am a total novice to the world of dressmaking and I know that a more experienced sewist could probably sew with a PDF pattern with a whole lot more confidence. Yet there is something I love about holding a pattern complete with its packing in my hands. Kind of like a physical book versus reading via an e-reader. I’ll keep you posted with how I get on using the Named cardigan PDF dressmaking pattern. And just how did my Toaster Sweater 2 turn out? I *love* it! I wear it often and I’m planning on making a couple more – another for myself (or perhaps 2!) and one for my size 8 sister whom I’m sure will really enjoy it. I’ll be sure to post a couple of pics of the original completed project …. once I’ve had my roots done! I’m really psyched to get going on more dressmaking projects for my Instagram #2017makenine sewing challenge. I’ve learned so much already and I’m only up to the second of my nine projects! Do you have any tips or questions about sewing with PDF dressmaking patterns? We’d love to hear them! Please leave a comment below to share with your fellow Thread Heads. This entry was posted in How To's, learn to sew and tagged dressmaking, how-to's, pdf patterns, sewing tips. I am really hesitant to try PDF patterns. I have the feeling it would take me as long (or longer) to print & put the pattern together as it would to sew my project. So, I, too, am looking for tips and critiques. Clare, glad your Toaster Sweater 2 was a success and hoping to see it posted soon.